This week, Jaquelle and Sean talk about how Christian girls (and guys!) should view makeup. They also talk about Jaquelle’s upcoming speaking engagement, why we call our aunts “auntie,” and what Joe got Jaquelle for her birthday. 05:15: What’s with weird relative titles? 10:01: Introducing this week’s topic from a listener: makeup. 12:22: Why Jaquelle loves makeup. 15:03: Addressing objections to Christians wearing makeup. 17:56: The reasons Jaquelle wears makeup. 23:36: Jaquelle gives Sean an overview of makeup. 28:13: What about guys wearing makeup? 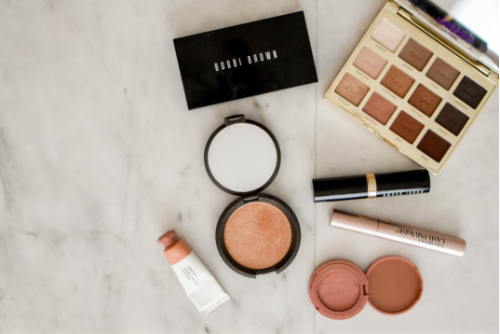 28:57: What age should you start wearing makeup? 31:35: What about the ethics of makeup? Wow! This was a good one! This was really good, and definitely a relevant topic! Also, Jaquelle mentioned ballroom dancing. 😉 I have a lot of friends who are really getting into dancing, especially swing dancing, and I would love to hear your guys’ thoughts on this topic from a Christian perspective. AND, another interesting topic might be: how should Christians respond to magic as it is presented in books and movies? I always love listening to AOM – keep it up!! Thanks, Anita! I love your topic suggestions. We should definitely tackle those in the future. Thanks for listening to the show! !